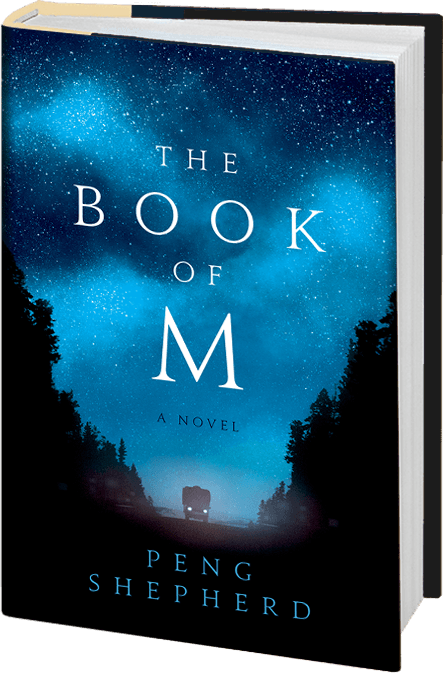 Set in a dangerous near future world, The Book of M tells the captivating story of a group of ordinary people caught in an extraordinary catastrophe who risk everything to save the ones they love—a sweeping debut that illuminates the power that memories have not only on the heart, but on the world itself. Knowing that the more she forgets, the more dangerous she will become to Ory, Max runs away. But Ory refuses to give up the time they have left together. Desperate to find Max before her memory disappears completely, he follows her trail across a perilous, unrecognizable world, braving the threat of roaming bandits, the call to a new war being waged on the ruins of the capital, and the rise of a sinister cult called Transcendence that worships the shadowless.